Protect your prints! For you and your clients, ensure your prints are kept in great condition by transporting, showcasing or storing your prints in these convenient ClearBags™. 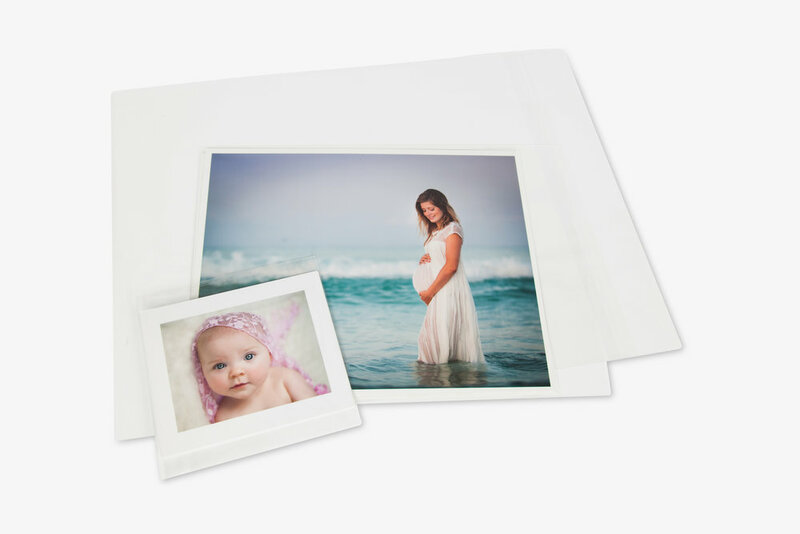 Simply slip your prints into the appropriate ClearBag™ size option, peel off the adhesive strip and fold the top flap over the bag's opening to easily seal (and reseal) to protect your prints. Mix and match from the sizes listed below and build up a stock of these high-quality bags. Clear Bags™ are available through ROES and can be found under the 'Studio Supplies' catalog.